Kuwait has proposed a draft resolution to the UN Security Council, calling for “considerations” on the establishment of an international protection mechanism for Palestinians in the face of Israeli violence. According to Press TV, the non-permanent Council member that represents Arab countries circulated the draft on Tuesday, and it is expected to be put to vote on Thursday. 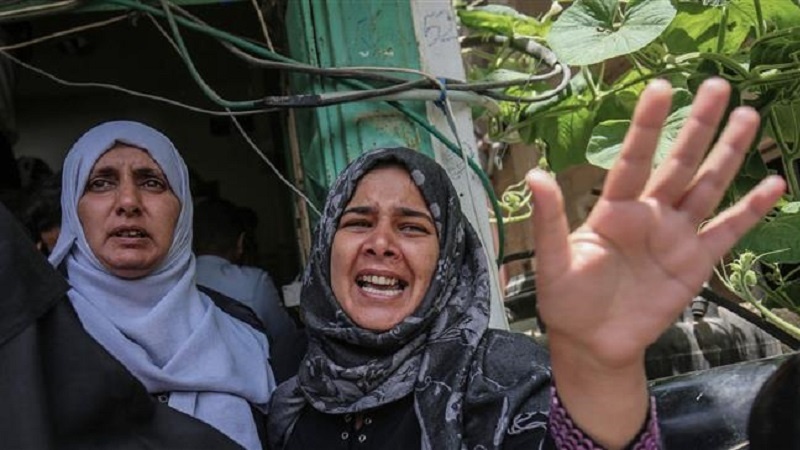 It “calls for the consideration of measures to guarantee the safety and protection of the Palestinian civilian population” in the Israeli-Occupied Palestinian Territories and the Tel Aviv-blockaded Gaza Strip. It requests that UN Secretary General Antonio Guterres present a report within 60 days over recommendations on how to protect the Palestinians. More than 110 Palestinians have martyred since March 30 during Israel’s crackdown on protests at the fence separating Gaza from the Israeli-Occupied Territories. The new document is a revised version of the draft Kuwait had submitted to the Council in mid-May, when the Israeli regime martyred some 60 Palestinian protesters in Gaza in a single day as the US was inaugurating its embassy in occupied al-Quds. The earlier had presented an outright demand for the establishment of such mechanism. As in the case of previous pro-Palestinian measures, the United States is expected to veto the draft, while its allies France and Britain, who also hold veto power, have claimed that the proposal fails to clearly define the “scope and objective” of the mission. Zionist regime’s UN Ambassador Danny Danon slammed the proposed resolution as “shameful” and said it was designed to help the Palestinian resistance movement Hamas, which runs Gaza. In recent days, the Israeli military has stepped up its acts of aggression against the besieged Gaza Strip, promoting fighters of Hamas and Islamic Jihad resistance movements to fire mortar shells on Israeli-occupied towns. Later on Wednesday, the UN Security Council is set to hold an emergency meeting at the request of the US in the wake of what Washington and Tel Aviv claimed “Palestinian aggression” against Israel. Washington has circulated a draft Council statement that would condemn the firing of rockets by Palestinian resistance fighters in Gaza, but it remains unclear whether it will be approved.